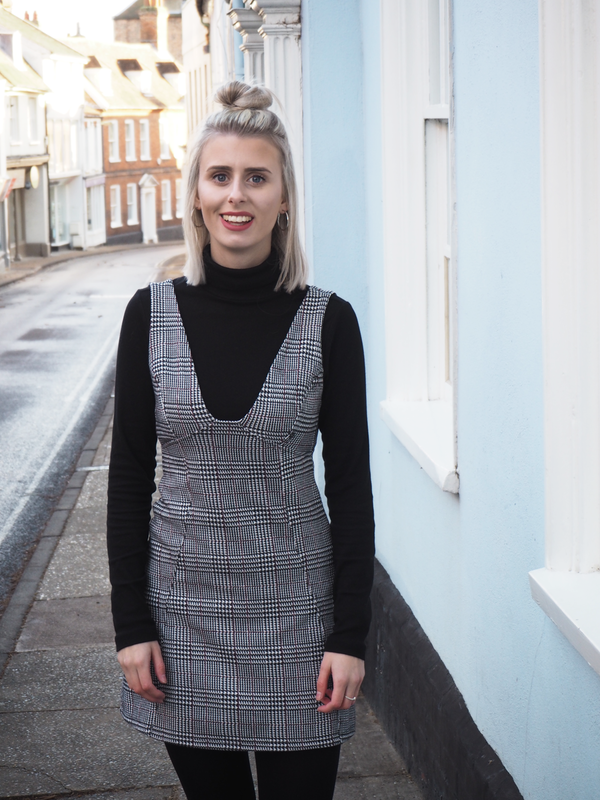 Yes, I realise everyone owns this Topshop Pinafore. But sometimes, when you see something you like, regardless of the hundreds of the masses of people who already own it, you’ve just got to get it. I think I first saw this floating around the blogosphere in November/December, fell in love with it, and it’s pretty decent price tag of £28 considering it’s Topshop, and embarked on my mission to find it. Of course, online it had sold out. Next, I ventured into the city centre – it was in store, but only in petite, and let me tell you, I am not petite. Weeks went by, and I had lost all hope of getting a pinafore of my own. Flash forward to me hopelessly bored one day, when I stumble across none other than the pinafore, back in stock online. I moved quickly, ordered two sizes just in case, and now the pinafore and I live a wonderful life together. Let me tell you how bloomin’ cold it was shooting these photos! It was a few weeks ago now so the weather is a tiny bit more bearable, but Jamie and I were practically frozen by the end of it! I’m already dreaming of summer, sun and hopefully a trip to a nice exotic country. 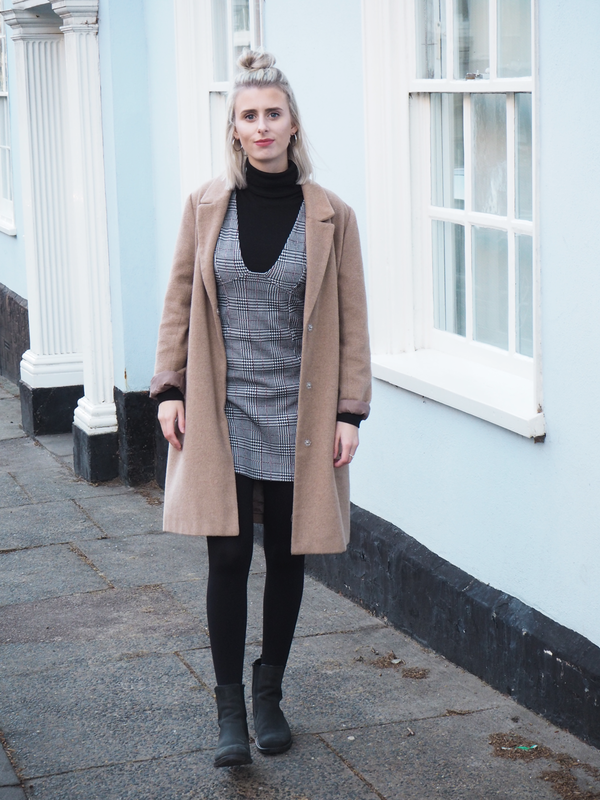 I’ve missed doing outfit posts and just rambling on about my life, things that have happened recently and all that jazz. Not a lot has happened recently though. I’m currently at the end of my second week back at uni. It’s been nice to get back into a routine, but it’s slightly terrifying it’s nearly the end of my life as a student. I have two more modules to complete by May, and then we’re done. How do 3 years fly by that quickly? I feel like I’ve missed out on a whole load of student related posts, so if you have any suggestions for that, please send them my way. You can read everything I’ve done so far here. 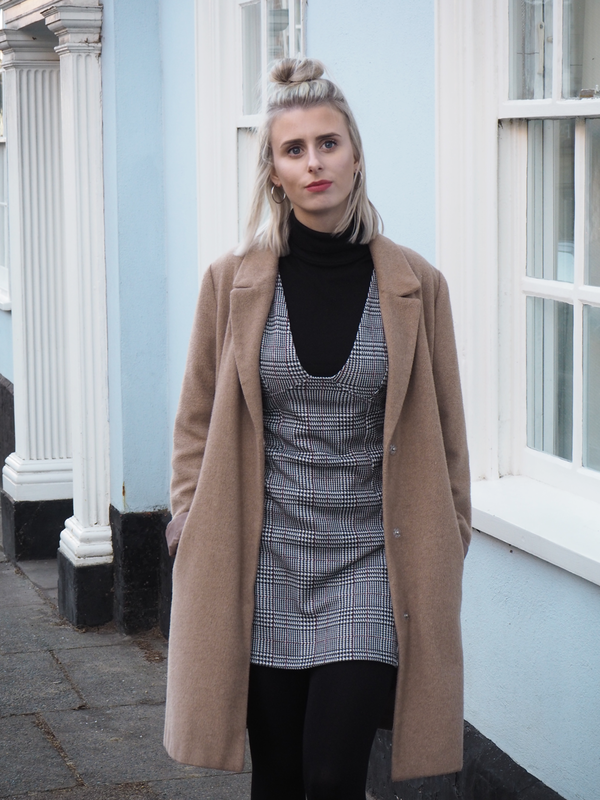 Last week we saw the drama with *that* hotel chain, and although I like to stay very quiet in any form of drama, I couldn’t help but feel a bit disheartened by the response and the way blogging was portrayed and dismissed as a career. But, if anything, it’s given me that extra fire and extra spark to work twice as hard and prove myself to all those who doubt us. 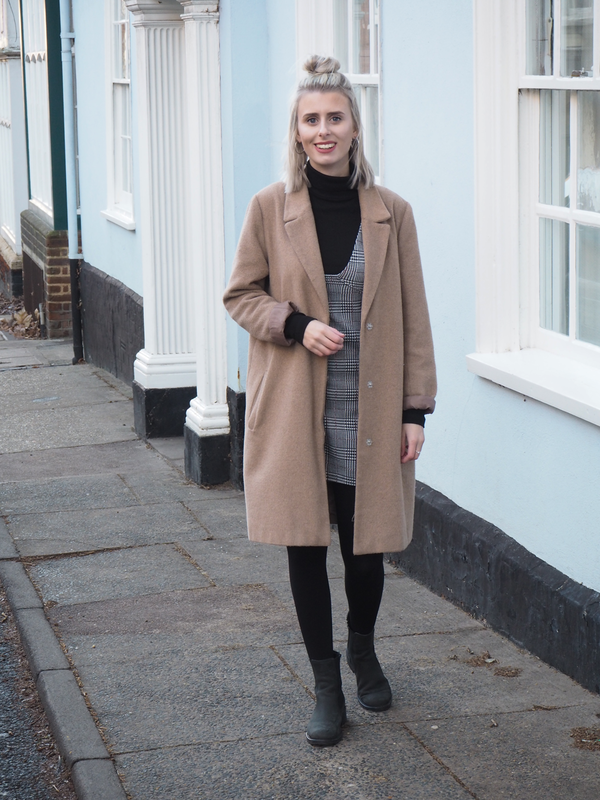 Blogging itself will probably never be a career for me, but being in my third year of my degree, careers are something I’m looking at right now, and my blog has shown a whole new area of work to look into. 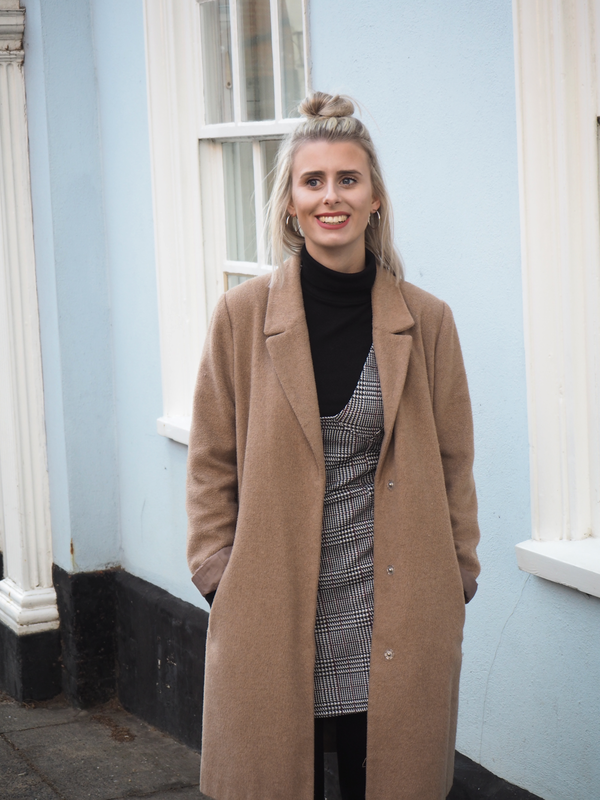 Despite being a geographer, I’m looking into a career into Digital Marketing, and this blog is definitely going to give me something to stand on in any applications I do. Other than uni life, and a bit of drama to stalk on the web, there’s not a lot to say for the last few weeks. What have you been up to? What’s one great thing that happened to you in the last week? 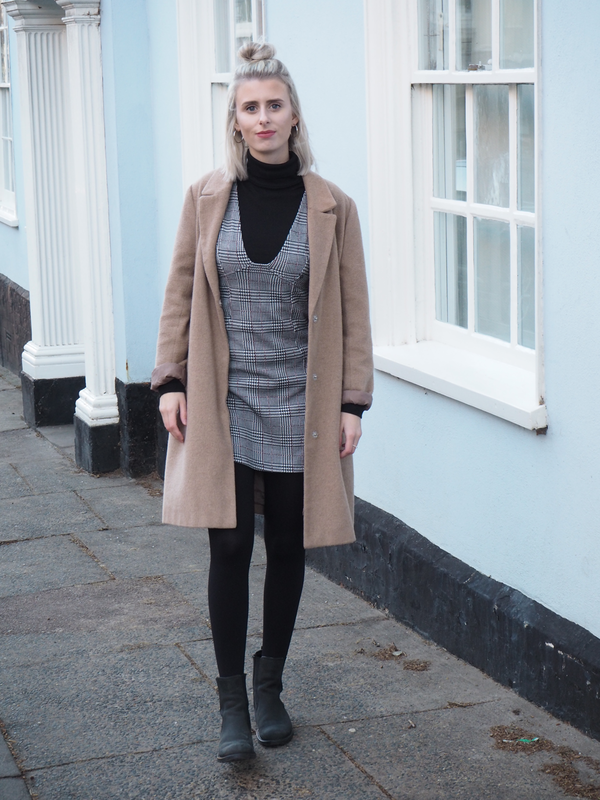 Shop the pinafore and similar below..
"Olympus Pen E-PL8 First Impressions"